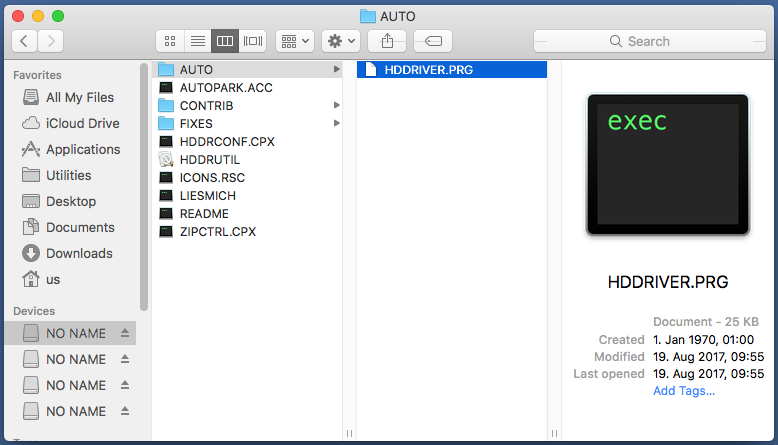 With HDDRIVER you can exchange data between your Atari and a PC or Mac without any additional software. Memory cards are ideal media for this purpose, but other removable media and hard disk drives can also be used. Exchanging data between the Atari and other platforms has never been this easy! 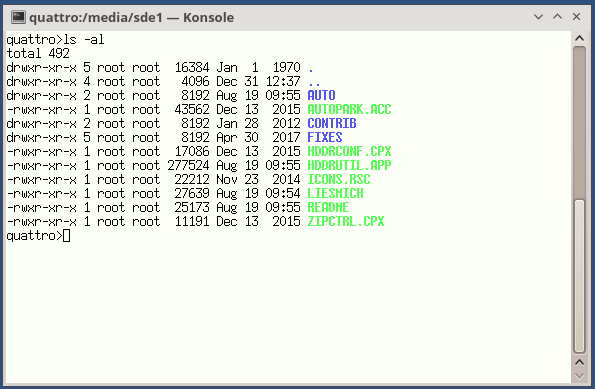 HDDRIVER can even handle the modern UEFI GUID partition tables (GPT). 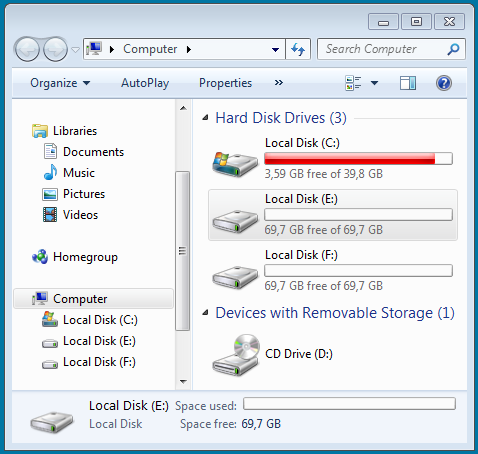 The files included in the HDDRIVER distribution displayed on a Windows PC. The medium is a memory card with four TOS/Windows-compatible partitions created with HDDRUTIL on the Atari. Windows versions older than Windows 10 have limitations regarding removable media: Only the first partition is detected, all others are ignored. With a non-removable medium (hard disk) any version of Windows supports several partitions per drive, like in this case two TOS/Windows-compatible FAT32 partitions of about 70 GiB each, which were created with HDDRUTIL. In order to use FAT32 partitions with the Atari MagiC or MiNT have to be installed. The same memory card as in the first example on a Mac. With macOS just like with TOS all partitions on a removable medium are accessible. There are several ways to exchange data with Linux systems. With most Linux distributions Atari partitions can be mounted directly, so that no special partitioning is required. The mtools software package can also be used to access Atari-compatible partitions. Note that the Linux kernel may impose restrictions on the maximum logical sector size of a TOS partition. HDDRIVER supports partitions which are defined in GUID partition tables, provided that their sector numbers are within the 32 bit range. Optionally all other GUID types can be mapped to the XHDI RAW type.